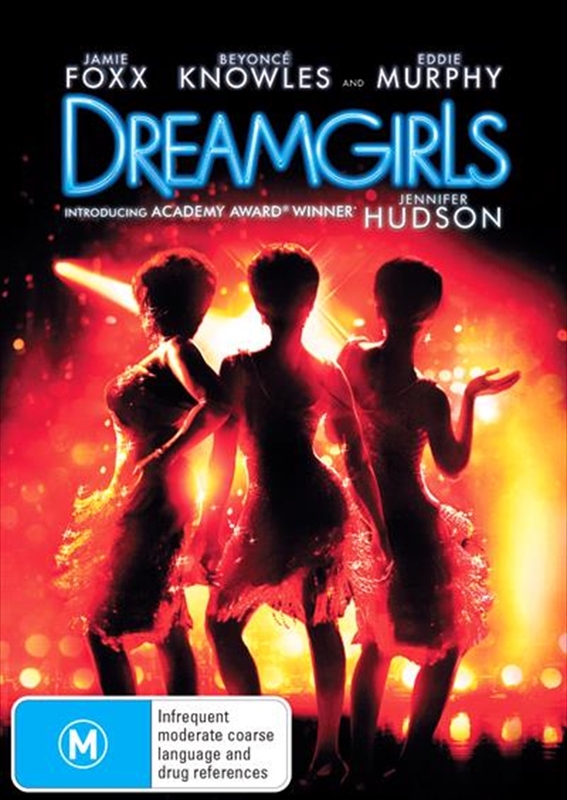 Dreamgirls follows the rise of a trio of women who have formed a promising girl group call the Dreamettes. At a talent competition, they are discovered by an ambitious manager who takes control of the girls' look and sound and eventually gives them their own shot at the spotlight as The Dreams. However the spotlight begins to narrow and the cost of fame and fortune is higher than they ever imagined. OSCAR - Supporting Actress (Hudson), BAFTA - Supporting Actress (Hudson), Golden Globes - Film, Supporting Actor (Murphy), Supporting Actress (Hudson).